It’s summertime in Australia, and therefore people are gearing up for the celebrations too. However, for a restaurant or retail shop owner in the country, the summer always poses a great deal of challenges. Other than keeping the supplies updated every day, it is also about upkeeping the refrigeration system functioning always. 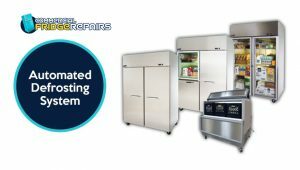 If you already own one or more refrigerators, you are undoubtedly aware of some of the common issues with the refrigeration units. Excessive frosting, inadequate cooling, uneven air distribution and the list goes on. However, you inevitably don’t any of these issues to pop up in between the rush hours and give you a hard time. So, whether it is about preventive maintenance or the necessary repairs, you have to take your decision as soon as possible before the celebration time arrives. 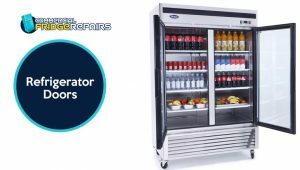 As per the experts of commercial fridge repairs in Sydney, some specific refrigeration units are there that always need special attention, and even a little malfunction in those units can prove to be problematic for you when it is the peak time for service. Well, if you want to upgrade your commercial refrigerator, the best way to do that is by going for the self-closing door option. Firstly, it saves you some time and secondly, it saves your effort. For retail stores, it serves as a convenient option for the customers, whereas, for restaurants, self-closing doors saves the workers to close the door every time. It’s really an excellent option for forgetful people! Adequate cooling will never be a hindrance. And, if you already have the refrigerators with this feature, consider getting it checked once before the rush seasons starts off. 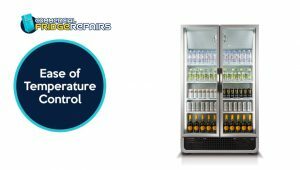 It’s a fact that you ought to keep your refrigeration unit turned on all the time during summer to make sure all the stuff inside are safe and fresh. But, at the same time, youcertainly don’t want your energy bills to rise too much as well. So, what you will need this summer is proper insulation. If your refrigerator has an advanced foam blowing agent that has a low thermal conductivity, it will result in less energy consumption for sure. 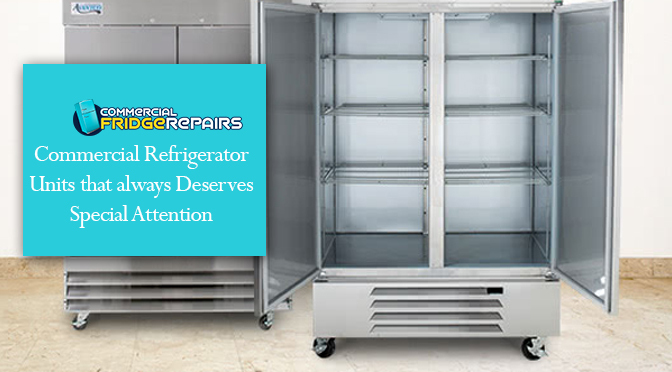 Also, whether it is a seasonal change or anything, the refrigerator will always perform consistently. The frequent frosting is one of the most common problems that demands professional refrigeration repairs. And, commercial refrigerator owners often have to spend a lot of time cleaning up the frost repeatedly. As a solution to this, you need a refrigerator featuring an automated defrosting system. The compressor releases a hot gas inside the fridge that helps in evaporating the ice into moisture. You will feel relieved to know that including the feature of an automated defrosting system actually help in energy efficiency too. The ease of temperature control must be there at all times. Well, the rush will be too much, and the refrigerator door will be opened and frequently closed as well. So, evidently, the inside temperature may fluctuate. For this reason, you need a digital temperature controlling feature outside the fridge door so that you can easily access it. So, make sure the professionals of Commercial Fridge Repairs thoroughly check these major parts of your refrigerator. Go for the required replacements and repairs to make the appliance ready for the upcoming pressure. 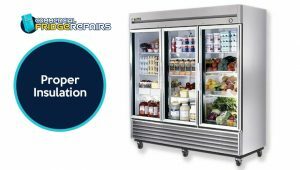 Previous PostFisher and Paykel Fridge Repair – What it Takes to be a Good Name in The Industry?Next Post“keep Your Coolroom Efficient With Regular Maintenance”- An Insight!